Wall-mounted, very space-saving shoe rack that can hold up to eighteen pairs of shoes. The Box is a wonderfully elegant and stylised piece of furniture indeed. The brainchild of designer Luciano Bertoncini, the Box can be whatever you want it to be. 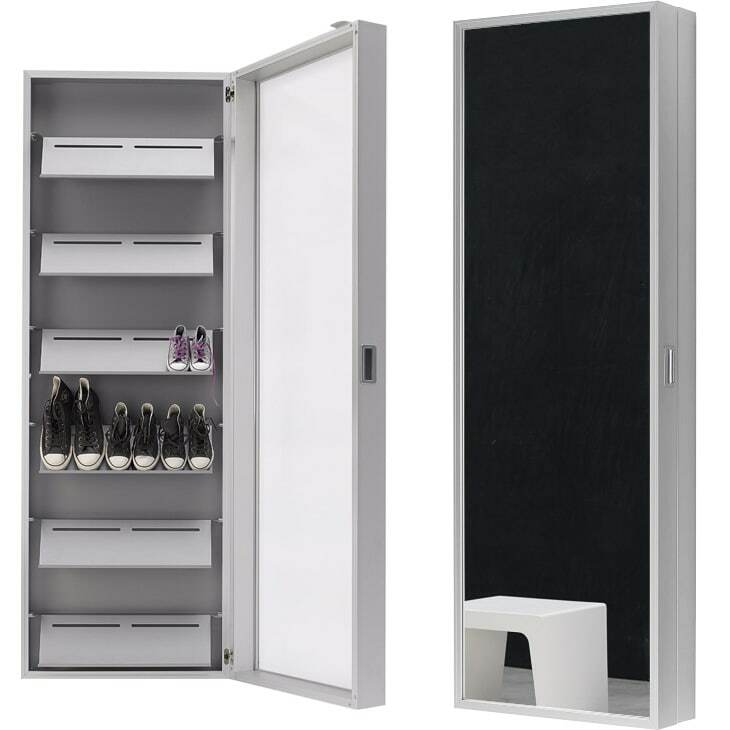 Slim, trim and sleek, with a depth of just 20 cms, this cabinet is highly portable and can be fitted into even the smallest corner or crevice of your house. It is an incredibly versatile piece of furniture and can be tailored to cater to your exact needs. Have too many shoes and no place to store them? Fix the shelves obliquely and the Box becomes a rack that can hold up to 18 pairs of shoes. And to top it all off, the door of the cabinet has a full length mirror as well! It is elegant enough to be used in homes, yet sleek enough to be installed in offices. Besides the here offered version as a shoe rack Foot Box the Box collection from the Kristalia is also available as wardrobe (Coat Box), a multifunctional element for storing various items of daily life (Duty Box) or a CD or DVD storing cabinet (Music Box). Do you have a question about "Foot Box"? How can we contact you?